Weight Training For Weight Loss | Weight Training For Fat Loss! Weight Training For Weight Loss that is kind of a tricky statement. A more accurate way to say it would be weight training for fat loss, improved health and better looks. Is that not your ultimate end goal? Lifting weights and building muscle can actually cause you to gain weight because in essence muscle weighs more than fat. Muscle weighs more than fat but more importantly is that muscles will actually burn fat. Now if your carrying around a lot of extra fat then you will initially lose weight after starting a weight training program but once you have tipped the scales to where your muscle outweighs your fat you will begin to see a plateau in the amount of weight loss. It is also common for people to start weight training for weight loss, even while it may be common for people to start weight training because they want to build their muscles and to increase their strength. 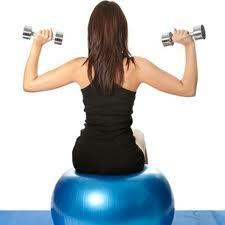 Lifting weights and exercising your muscles an extremely effective way to lose unwanted fat. If your current weight loss routine seems to be failing from every front before throwing in the towel like most do try a few adjustments to the plan. If your current exercise routine does not include any type of strength training well then that is the first place to start. Weight training for weight loss is terrific however I would first tell you to throw away the scale or at least hide it away in the attic for the time being. When you first begin with your new weight training routine you will more than likely tack on a few pounds but as I said earlier those few pounds will be in the way of muscle, not fat. I always tell my clients to put away their scales because it can play games with your mind. Most people begin their new weight loss routines by first jumping on the scale to see what they currently weigh and then they continue the practice daily. This is the reason most people become frustrated and quit after two weeks or less. Weight Training For Weight Loss Not Necessarily! We have become a society dependant upon instant gratification and that gets carried over into every aspect of our lives. So when most decide to start a new weight loss routine they want to see instant results and if they do not see it they get frustrated and go running to the first slice of chocolate cake they can find. If you started weight training for weight loss and you plan to jump on the scale everyday you will be sabotaging your efforts from the start. What you need to do is to trade in your scale for a wall length mirror because if you think about it the motivation for losing weight is to look better. You have to get it into your head that your weight is not always tied to your looks or your health. 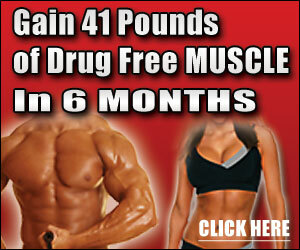 Weight Training For Weight Loss, Improved Health And Better Looks! Say you start a new exercise routine and you add in three days of weight training. A routine like this is going to bring you much better results than your average exercise routine centered around aerobic activity. A weight loss plan that includes weight training will bring you the results you desire much faster than one without and you are much more likely to stick with the plan because of how it is reshaping your body. You need to keep your mind focused on the end result which is a better looking, healthier body, if you can do this I guarantee you will lose any unnecessary fat and build the healthy looking body. Instead of thinking weight training for weight loss you should be thinking weight training for better health and better looks. If You Are Weight Training For Weight Loss You'll Find All You Need Right Here At The Number One Fitness Website Online.